Paying for services or goods by credit card online via web payment gateway is a standard method for many years. 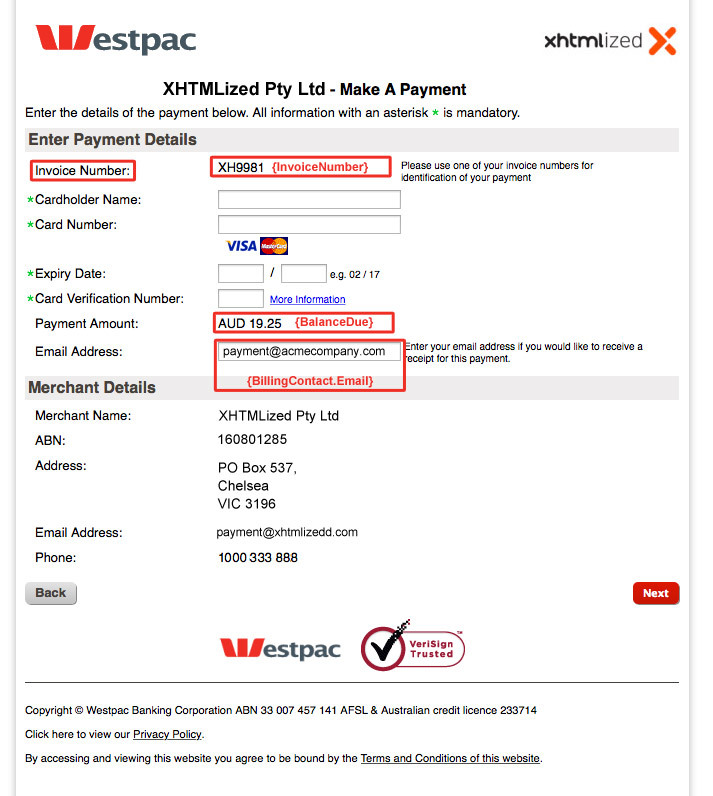 Saasuthemes.com have successfully implemented custom “Pay now” button to use WestPac’s online PayWay credit card payment solution for business owners. Simple yet elegant solution to pay Saasu issued invoices via PayWay credit card payment gateway. Integration is pretty simple, all you need to know is your Biller Code, which identifies your business entity and makes sure that money are transferred to your account. 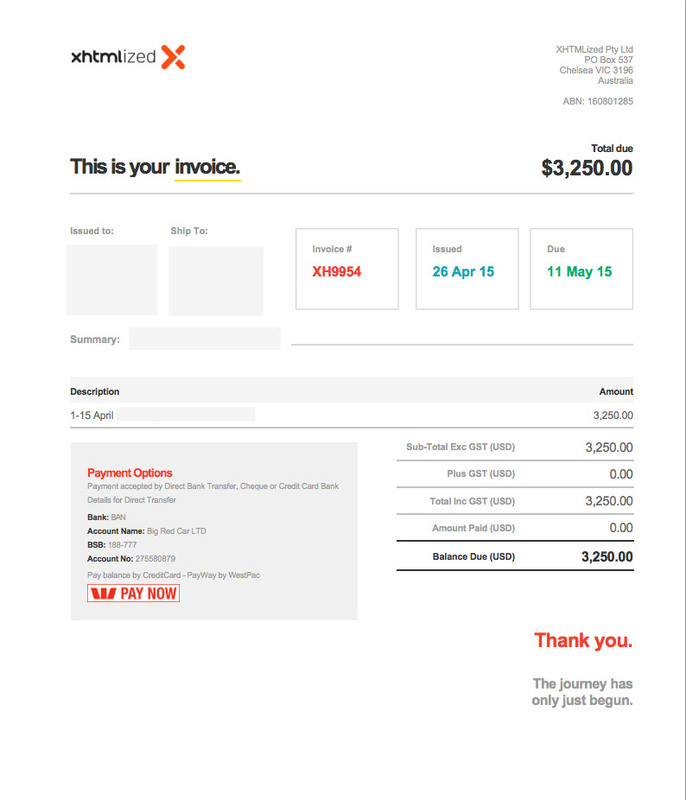 The rest is matter of copy paste of information provided at the end of the article into your Saasu invoice template. First step is assumption that you use Saasu and PayWay. Step two is assumption that you have enabled PayWay Net payment solution in your PayWay account. 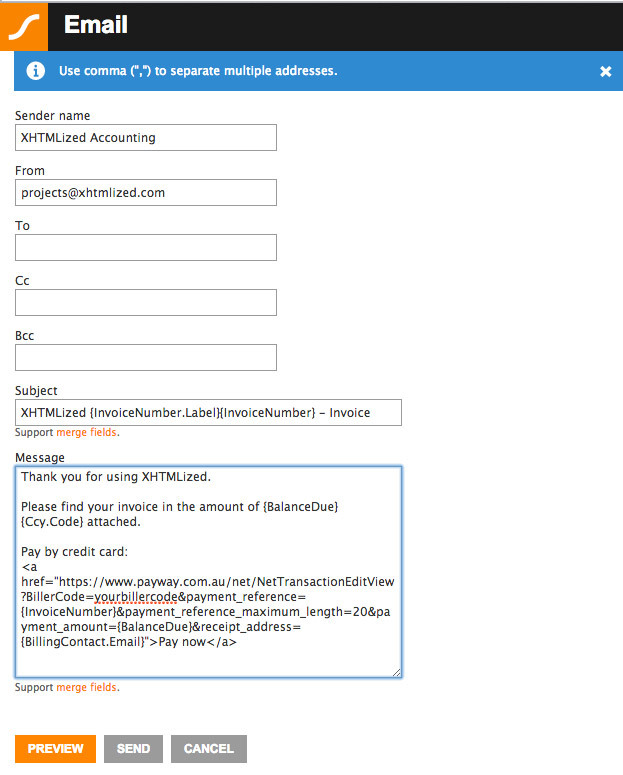 From your PayWay account you will need to retrieve your BillerCode. This is required for PayWay credit card payments from Saasu PDF invoice or Saasu issued invoice emails. After retrieving your BillerCode from your PayWay account, everything else is done in your account at Saasu system. Images below are taken from Sassu account and are used for illustration purposes. Log into Saasu, and select the ‘1. View’ menu then click ‘2. 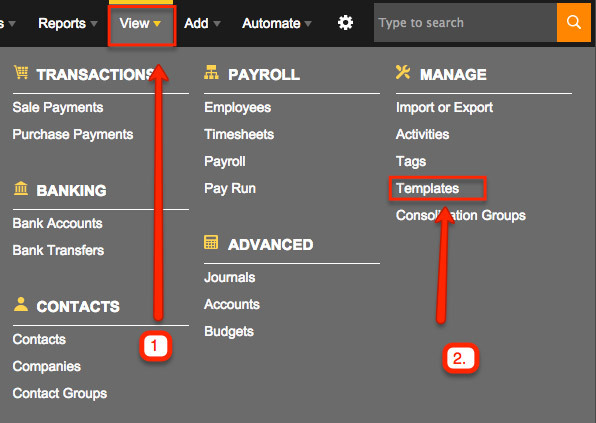 Templates’ and you get list of the Invoice templates. 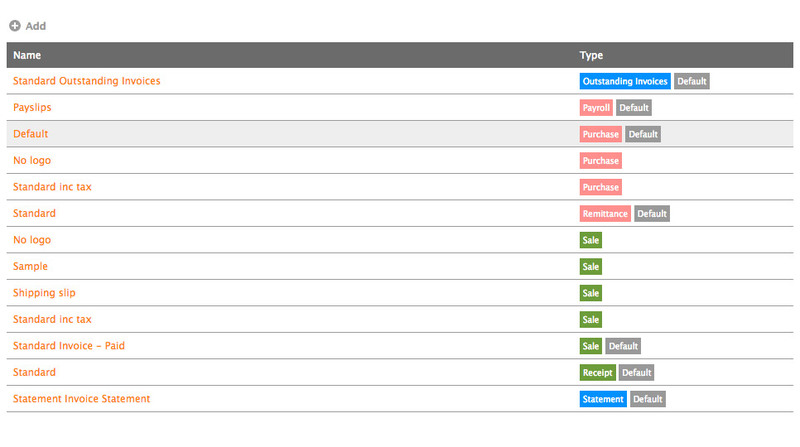 Choose the one you’d like to use for invoicing, for example Standard inc tax. you’ll want to edit that part to have active link in your email and allow your customers to click the link and pay by credit card directly from the email they receive. 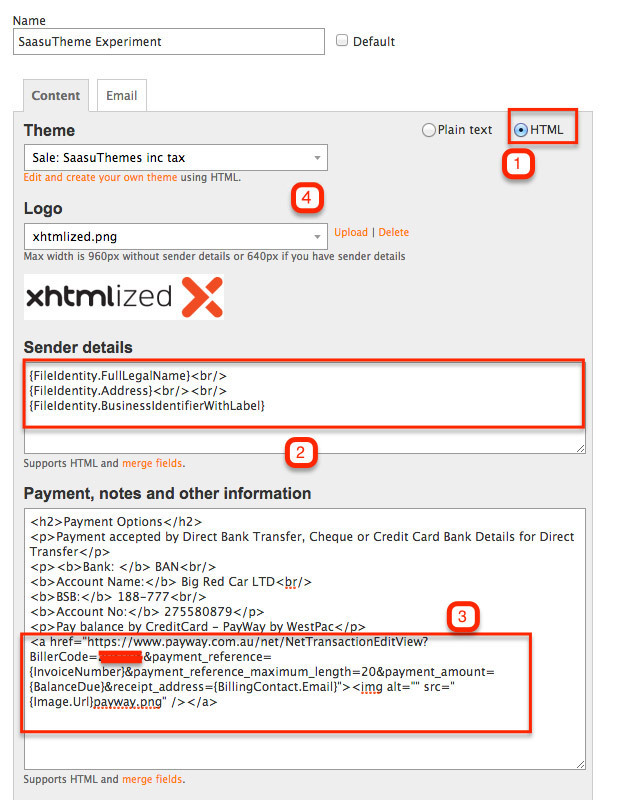 Wording “Pay now” is used here instead of the image button because Saasu email messaging system doesn’t support images. Thanks Liam for an inspiration to share this solution with other Saasu and PayWay users.